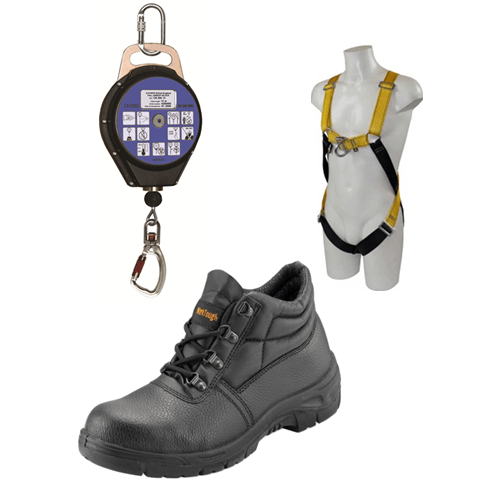 Buy A Fall Arrest Block And Harness Set And Receive A Free Pair Of Chukka Safety Boots and 50% Off The First Year Service! 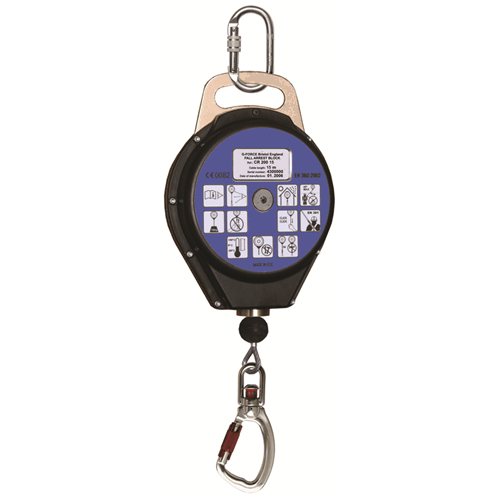 The G-Force CR200 Self-Retractable Fall Arrest Block is durable yet lightweight, with a portable design that makes it easy to carry around. This product is available in 12m length. The RGH2 Harness is the “workhorse” of the industry and is fitted with a rear D and a chest mounted front D.
This harness is similar to the RGH1, but has the added feature of the front D ring to extend the working capability of the harness. Utilizing the front D, the harness can be fitted with a rope and grab system (RGA12) for vertical fall protection when an operative is making repeated ascents. When restraint or work positioning is needed in either the vertical or horizontal plane. Buy now and receive a free pair of Chukka Boots! 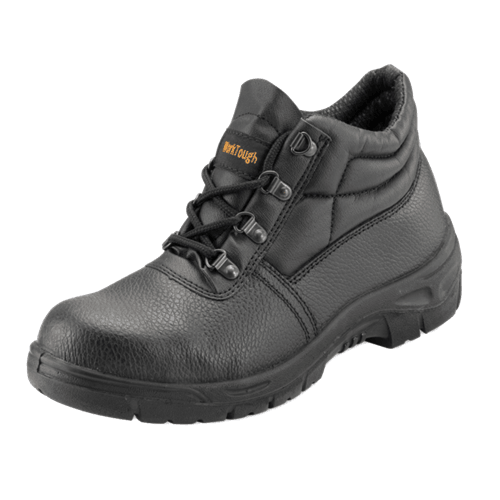 Black chukka boot with padded collar and padded bellows tongue, dual density polyurethane sole, steel midsole, antistatic. Plus 50% Off First Year Service!